In a cutting-edge industry, salon owner Rona Bunch is clear about one thing: “Education is power,” she says. During her 26-year career – as a stylist, salon manager, and salon owner – Rona has learned a lot about hair — and she’s also gotten a lot back from the hair industry. Now she’s paying it forward, working side-by-side with new stylists who can benefit from her knowledge and experience. The funny thing is, Rona never actually wanted to be a hairstylist! “When I was starting out, my desire was to find a trade that would be easy,” Rona admits. But when she got into beauty school, Rona quickly realized how much she loved hair. And she was delighted by all of the opportunities available to beauty school graduates. Rona took “a different route,” she says, opting to start her career in salon management, developing her business skills until 2003, when she got behind the chair in her first private salon. Rona began teaching classes to apprentice, assistant, and junior stylists on her day off, and she signed on as a network educator, first with Bumble and bumble, then KMS and eventually EVO hair care. Rona was excited to open RonaBunch Inc. at Sola Salons Mandarin in 2014 — and even more excited to develop a unique mentor program that would allow her to introduce an incoming stylist to all aspects of the industry in a fun, hands-on sort of way. Cassidy Thompson was a junior in high school when she and Rona linked up in 2014. “I initially brought her in to shampoo hair,” Rona recalls. 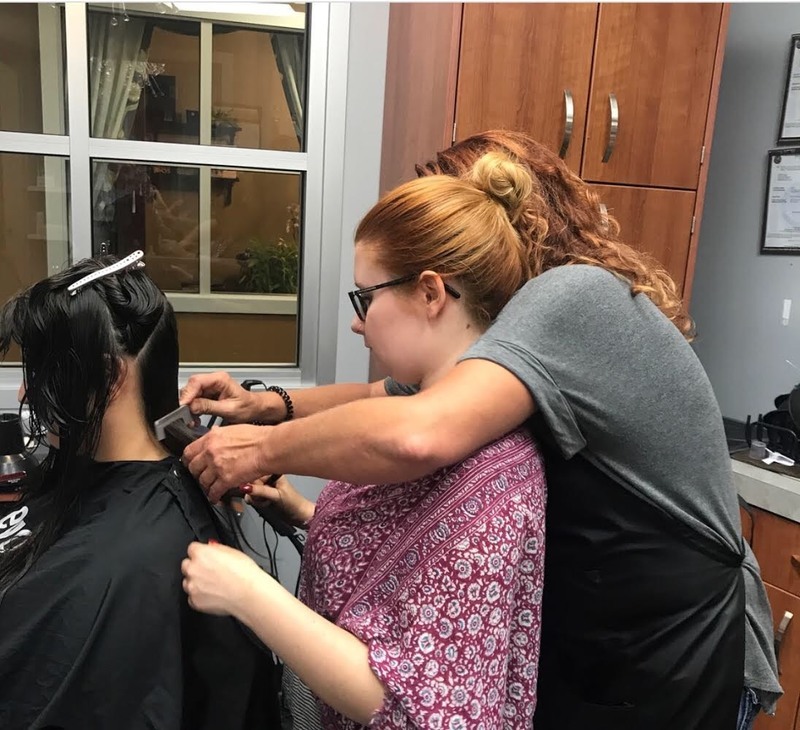 Cassidy showed promise from the get-go, and when she expressed a strong desire to become a stylist, Rona saw an opportunity to mentor Cassidy — and to help her overcome the barriers that prevent many new stylists from owning their own salons. It was a match made in heaven with these two red heads! Rona hired Cassidy as her hourly assistant, and the relationship benefited both parties equally. In addition to shampooing Rona’s clients, Cassidy answered the phone, booked Rona’s appointments, and helped with inventory. “It freed up my time, and allowed me to take on more clients,” Rona says. In return, Cassidy learned how to run a thriving business, gaining valuable skills she would eventually use in her own salon. Cassidy also got to learn a few technical skills from an old pro. When she was accepted into beauty school, Rona supplemented Cassidy’s training with on-the-job education, letting Cassidy watch as she worked with clients. “She didn’t mind letting me ask questions,” Cassidy says. There was only one rule: “Cassidy had to be open to feedback and constructive criticism — that was the condition,” says Rona. While mentoring Cassidy, Rona gave her understudy some good old-fashioned advice. Once she’d graduated from beauty school, Rona gave Cassidy the opportunity to work (for free) in her salon, whenever she wasn’t there. 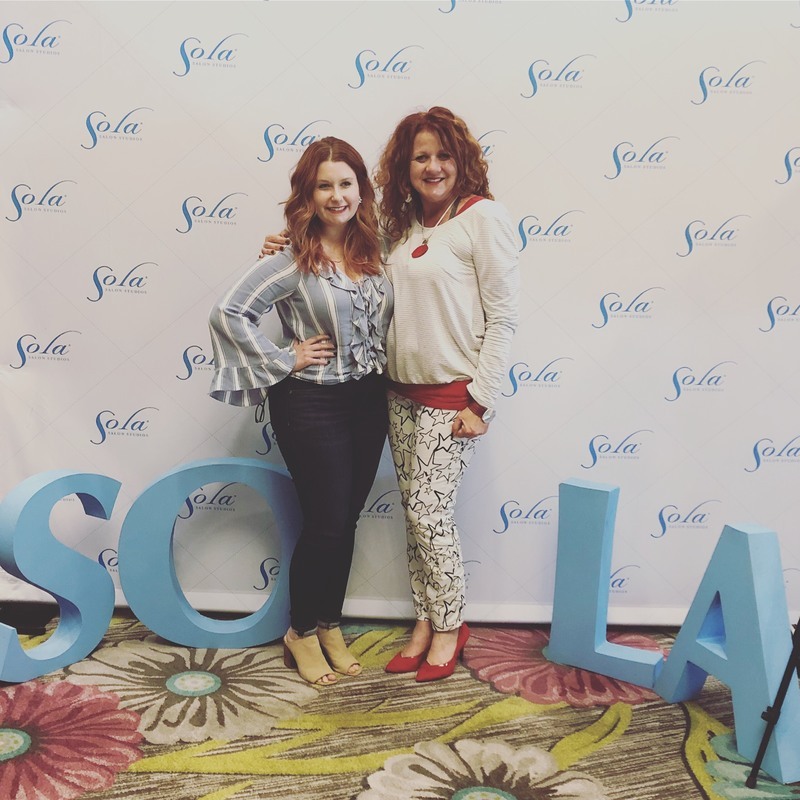 Cassidy squeezed in clients on Sundays, Mondays, and even Friday evenings — an arrangement that allowed her to build up a clientele six months before she officially opened her salon. During this time, Rona facilitated hands-on learning opportunities for her mentee. “When I taught her how to use the razor, I physically stood behind her, and she put her hands on mine so she could feel the tension,” Rona says. “With clipper cut,” Rona continues, “I would clipper cut half the head, and she’d do the other half.” Sometimes Rona even gave Cassidy on-the-spot quizzes about color decisions! 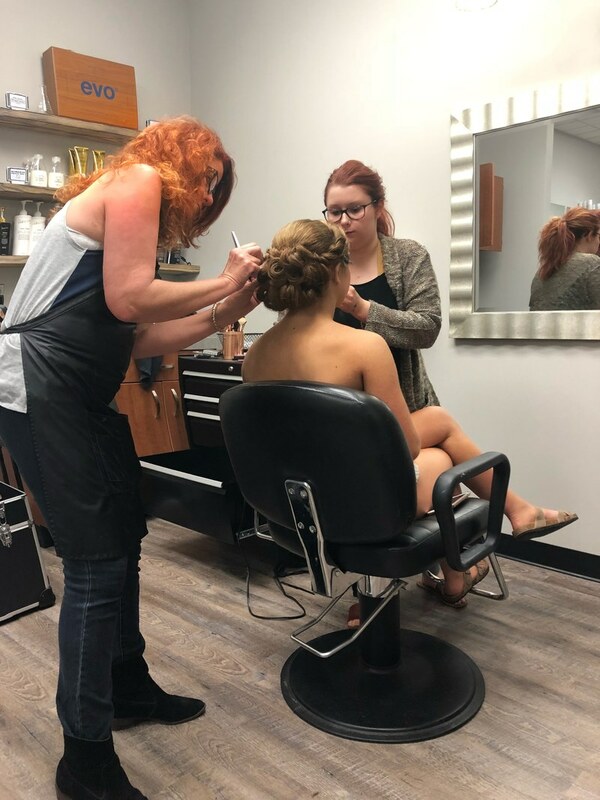 Rona’s regular clients – the ones who had already gotten to know Cassidy during their shampoos – were happy to let Cassidy try out her new skills. For this, Cassidy feels very fortunate. “I have had so many opportunities that other stylists in my position don’t have, thanks to Rona and Sola,” Cassidy says. And in February – after working together for four years – Cassidy got that salon. Today, Cassidy and Rona own adjacent salons. “The wall was already blown down,” Rona explains, and Cassidy jumped on the opportunity to scoop up premium space when it became available. With a little guidance from her mentor, Cassidy got her business license, too. 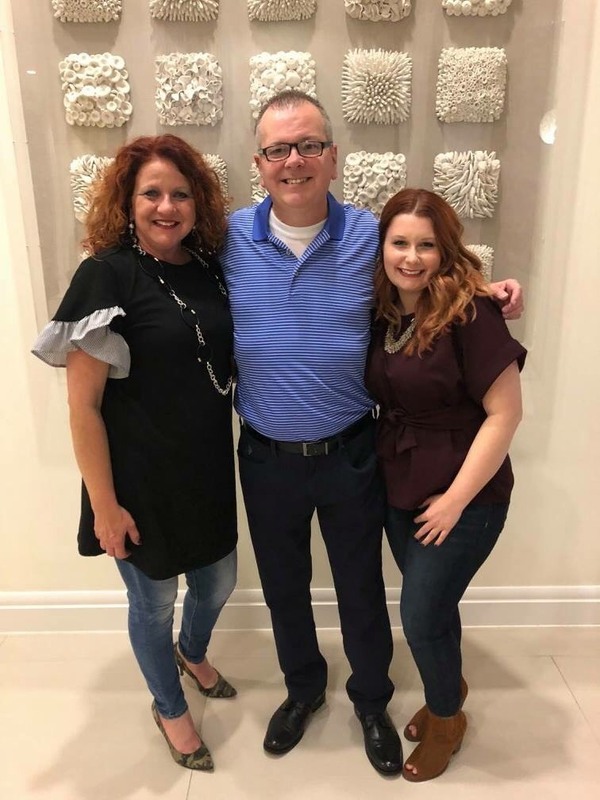 From there, Rona’s web designer helped the young entrepreneur create a logo, and Rona and Cassidy have collaborated on marketing tactics, tapping into social media platforms such as Facebook, Instagram, and Google. “And we came up with a refer-a-friend program,” Cassidy adds. The duo even had cards made to help promote their referral program. Having an apprentice was a great business strategy — but the benefits Rona got weren’t just monetary. As for Cassidy? Having the opportunity to learn from an experienced hairstylist was huge. “I know I wouldn’t be where I am today without Rona,” Cassidy says. What Does #MySola Mean To You?